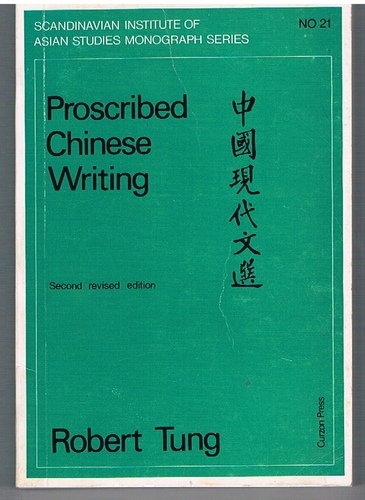 Home » Language » Chinese » Proscribed Chinese Writing. 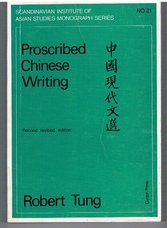 A good, clean, tight copy with light creasing to covers. ; 'Peking'-sponsored pin-yin system used with Wade-Giles conversion table. ; Scandinavian Institute of Asian Studies Monograph Series No 21.